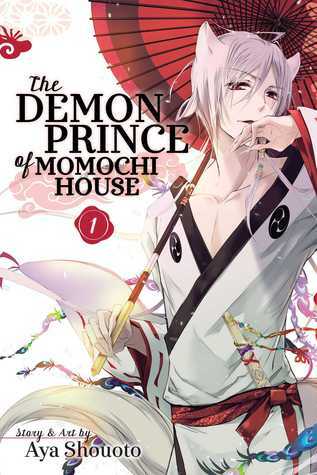 The Demon Prince of Momochi House, VOL 1 by Aya Shouoto, July 7, 2015. 170 pages. Published by Viz Media. Source: borrowed from sister. 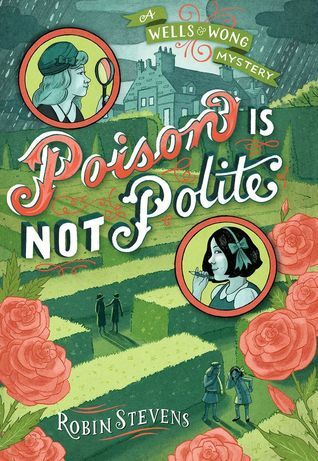 Poison is not Polite (Wells and Wong, 2) by Robin Stevens, April 26, 2016. Published by Simon and Schuster. Why: While I don't generally wish for books this far out (makes the waiting too hard), I had to make an exception for Poison is not Polite!!! With Murder is Bad Manners being one surprisingly good read that I picked up at the library this summer, I am itching to see what other mysteries Hazel and Daisy will find themselves caught up on. Seriously though, check out book one if you haven't!!! 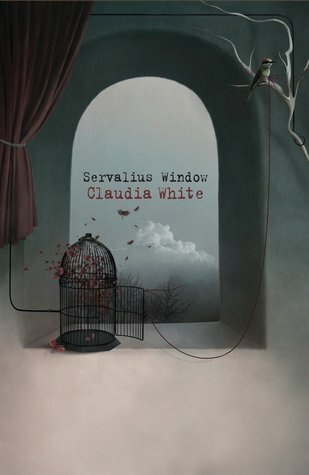 Servalius Window by Claudia White, May 18, 2015. 224 pages. Published by MP Publishing. Source: author. A dazzling shade of blue was the dominate color. 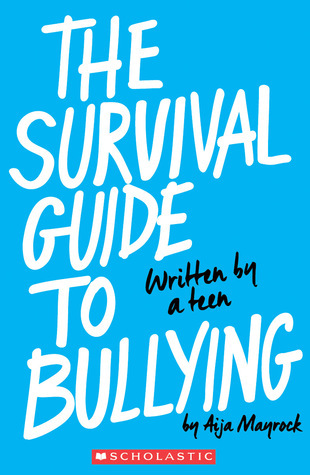 The Survival Guide to Bullying by Aija Mayrock, June 30, 2015. 160 pages. Published by Scholastic. Source: Rockstar Reads. One day in 3rd grade, a girl came to visit our school. 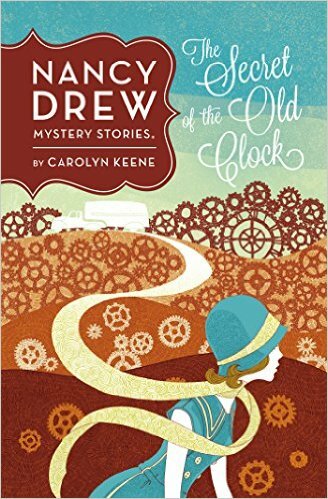 Secret of the Old Clock (Nancy Drew, 1) by Carolyn Keene, May 1, 2014. Published by Grosset & Dunlap; Reprint edition (May 1, 2014). Why: While I haven't read many of the Nancy Drew books, I do remember discovering a copy of The Secret of the Old Clock one day at the library years ago and devouring it. I thought it was pretty awesome that Nancy was always out solving mysteries, so, when I saw the gorgeous new cover for it I knew it would have to make an appearance here. 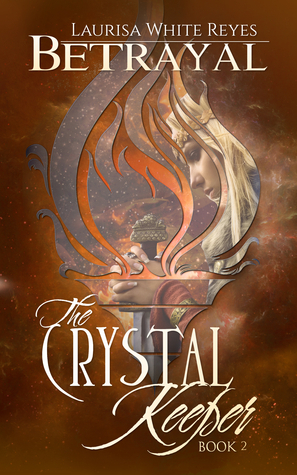 Betrayal (Crystal Keeper, 2) by Laurisa White Reyes, February 9, 2015. 133 pages. Published by Skyrocket Press. Source: author. The upper corridors of the ministry were dark and gloomy, and though Erland had walked them hundreds of times, he had never grown accustomed to the ever-shifting shadows cast by the few sconces studding the ancient walls. You remember how earlier in the month I posted a poll of books that y'all should "Make Me Read", well, that results are in and the people, you lovelies, have chosen what I'll be reading. To refresh you're memories, here are the books that were listed as potential candidates for the read-a-thon. Truth be told, I actually had y'all vote on non-review books as with it be summer I just want to read for the sake of reading. Before we get to the results, how about a little bit of why I chose each book. Windsinger is actually one of my favorite books/series, and, as I haven't read it in what seems like ages I decided to throw it into the mix. As for Cinder and Blood Red Road, well, both are books that I've listened to the audiobook of. Sadly though, I never progressed past book one in either series and thought reading them would be the perfect excuse to prepare for the rest of their respective series. 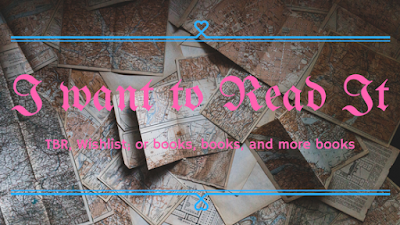 Now, Pathfinder, The Gathering Storm, Prophecy, The Red Queen's Daughter, Spell Bound, Seraphina, and Dreamhunter, well, they've all been on my TBR for WAY TOO LONG!!! So, without further ado I present the results as voted on by you dear readers!!!! Blood Red Road, (a two-way tie between) Seraphina and Spell Bound, and (a four-way tie between) The Gathering Storm, Red Queen's Daughter, Pathfinder and The Wind Singer rounding things out. Come tomorrow...or should I say later today, I'll be starting in on Cinder. I don't know how many I'll be able to get to, but, I plan on squeezing all of these into my schedule before the year's out!!! I am excited to be reviewing Serafina and the Black Cloak by Robert Beatty today on the blog. This was one interesting read and the setting, well, that was pretty awesome given that's set here in my state. 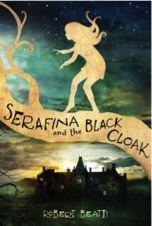 Serafina and the Black Cloak by Robert Beatty, July 14, 2015. 304 pages. Published by Disney-Hyperion. Source: blog tour. Serafina opened her eyes and scanned the darkened workshop, looking for any rats stupid enough to come into her territory while she slept. The Rock of Ivanore (Celestine Chronicles, 1) by Laurisa White Reyes, May 15, 2012. 359 pages. Published by Tanglewood Press. 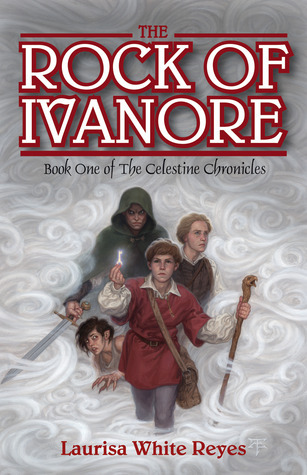 Why: After reading two out of three of the prequel books, my brain has taken the time to remind me that while I read The Last Enchanter, the second volume of the Celestine Chronicles, I still haven't reading The Rock of Ivanore. Now, well now I just want that rest of the picture of the world, characters, and how everything ties together. 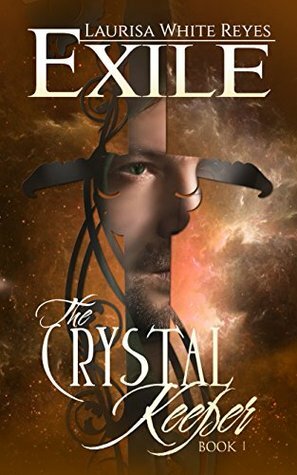 Exile (Crystal Keeper, 1) by Laurisa Reyes White, February 9, 2015. 130 pages. Published by Skyrocket Press. Source: author. Ivanore hunched over the parchment, the tip of her quill flicking above her hand like a trapped bird desperate to escape. 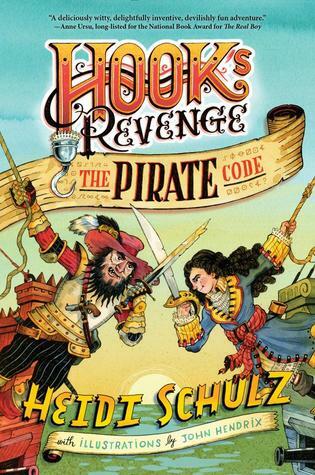 The Pirate Code (Hook's Revenge, 2) by Heidi Schulz, September 15, 2015. Published by Disney-Hyperion. 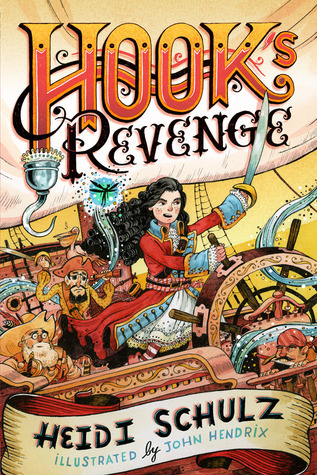 Why: I simply loved reading Hook's Revenge and am, in fact, in major need of knowing what will happen to Jocelyn as she tries to decode her father's treasure map and what all Heidi Schulz has in store for her!! Consider me ready to dive back into some amazing writing and storytelling!! Hook's Revenge (Hook's Revenge, 1) by Heidi Schulz, illustrated by John Hendrix, September 16, 2014. 304 pages. Published by Disney-Hyperion. Source: borrowed from library. There have always been pirates. 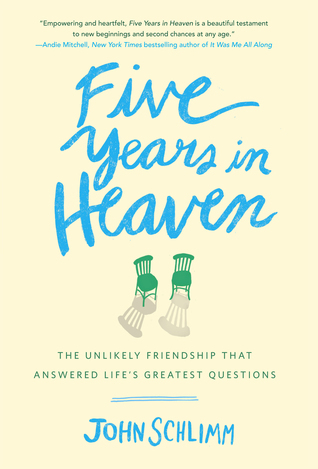 Five Years in Heaven: The Unlikely Friendship that Answered Life's Greatest Questions by John Schlimm, May 5, 2015. 288 pages. Published by Image. Source: Blogging for Books. On that early spring day, the sun had started its descent when I pulled into the convent's back entrance. It has been too long since I joined in on a read-a-thon, and, with my TBR getting out of hand (okay, we're way past getting as it is out of control) that I could not resist!! The Make Me Read It Read-a-thon is hosted by Val @ The Innocent Smiley and Ely @ A Book so Fathomless. Want to join in, then visit the announcemet for The Make Me Read It Read-A-Thon. With the readathon not starting till July 20 (at 8 a.m. and running till July 27 12 a.m.) there is still plenty of time to join in!! Select the to three you would most like me to read!! 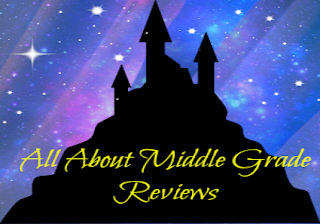 You can read up on all the titles by checking out my Goodreads shelf "Make Me Read". 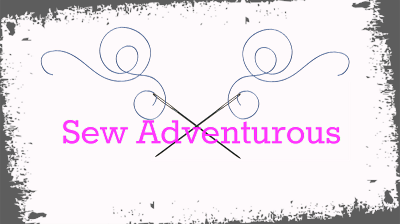 Sew Adventurous (3): The Black Hole That is Gaming!! 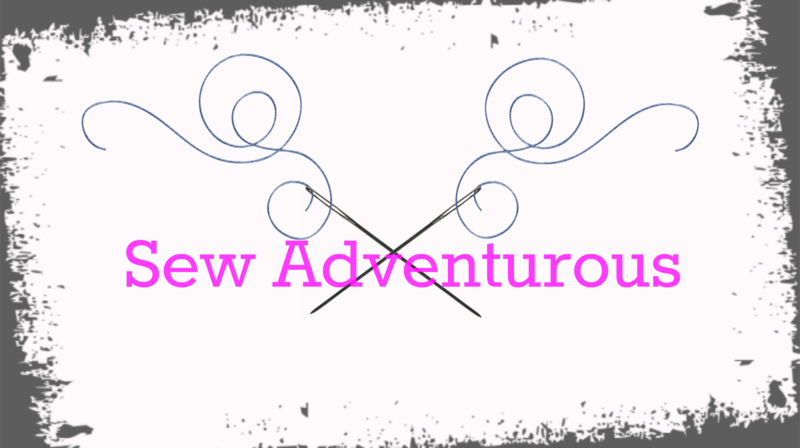 Even though today's Sew Adventurous post has nothing to do with crafting, I couldn't help but want to share with y'all the black hole I've fallen into...mobile gaming. As well as some other non-reading things I'm currently up to! While I enjoy playing video games, I've never really been interested in mobile gaming off the phone. Yet, when my sister recommended, okay she really just wanted me to join her alliance, DomiNations I decided to give it a whirl...well, let's just say that I am absolutely hooked!! There's just something about building/leading a nation through the various ages, from Stone Age to Space age, that is, well, addictive. Also, the whole perfecting the peoples defenses and building an army to conquer other villages...yeah, I may be enjoying this one too much!! The other game my sister has gotten me into is School Idol Festival based on the anime show Love! Live! School Idol Project. While I don't play this one as much, it's still quite fun as you get to unlock cards for characters from the show, and maybe one's that are just for the game, by completing songs from the show. In non-gaming, I have finally made it to running!! Now that my knee and ankle are much better, thanks to months of PT and endless hours of exercising, I have been cleared for running!! And with the warm weather all I want to do is be outside running around or playing with my dogs. Summer gives me a serious case of the "I Want to be OUT DOING THINGS!!" Some days, we do run outs (where you run x number of minutes out and then the same time back); other days, like today, was hilly runs (hills are somewhat hard to find here); and tomorrow is field width sprints. Aren't I even so nice to drag my older sister out for all this fun!! Tell me, what have y'all been up to this summer? Light of the Oracle (Healer and Seer, 3) by Victoria Hanley, December 12, 2006. Published by Laurel Leaf. Bryn is the daughter of a humble stone-cutter. So no one is more surprised than she when the Master Priest seeks her out to become a student at the famous Temple of the Oracle; a training school for future priests and priestesses. But her innately gifted nature proves a threat to the evil embedded within the Temple, and Bryn encounters unimaginable danger. Is she able to struggle with the unknown and to save the whole world from untold misery? Or will the powers of darkness succeed? 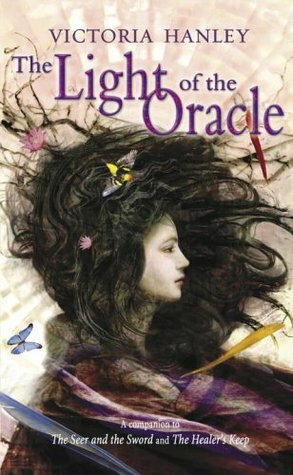 Why: I may be still trying to get my hands on book two, but, I also still really want Light of the Oracle because I would very much like to (one day) finish this series! I'm just so curious as to how the series plays out...even after all these years.